What is it with law enforcement agencies in Sacramento, Calif., and their reported propensity for injuring, maiming, and even killing those citizens they attempt to arrest, book or detain in custody? 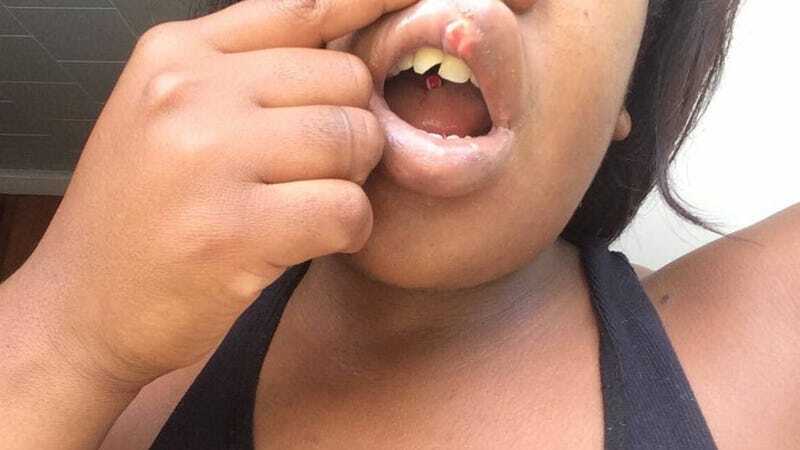 In a federal civil rights lawsuit filed Dec. 20, 27-year-old Davisha Mitchell accuses two Sacramento sheriff’s deputies of smashing her head into a wall during the booking process, resulting in her tooth being chipped and her lip being split, according to a report from the Sacramento Bee. After an altercation with her boyfriend during which she allegedly scratched him on the shoulder, Mitchell was arrested May 21, 2017 on suspicion of felony domestic violence. Officer Marcus Basquez, spokesman for the Sacramento Police Department, told the Bee Mitchell’s boyfriend suffered “minor injuries” but would not allow investigators to photograph them at the time. After all of that, Mitchell was released the next day without any charges being filed against her. The Bee reports that she has no criminal history or past convictions. Pointer told the Bee that he is unaware as to whether or not video of the incident exists. Their request for video from inside the jail was denied. He said Mitchell was treated for her injuries and diagnosed with a concussion, sprained wrist, and sprained finger. There are photographs and medical documentation of her injuries and treatment. Sacramento County Sheriff’s Department spokesman Sgt. Shaun Hampton told the Bee Hutchinson and Daniele are still employed with the agency, and Pointer said there is “no reason to believe” they were ever disciplined or transferred as a result of the incident. Hampton would not give the Bee a comment on that. Mitchell’s lawsuit claims Sacramento County “breached their duty of care to the public in that they have failed to discipline” the deputies involved. Pointer is an attorney with the law office of John Burris. The Oakland-based firm has filed several civil rights lawsuits on behalf of victims and families who have been injured or killed by law enforcement officers in Sacramento, including Nandi Cain—the man who was beaten by a Sacramento police officer after jaywalking. Cain received a $550,000 settlement in April. Burris currently represents the family of Mikel McIntyre, a black man who was shot and killed by sheriff’s deputies last year, as well as the family of Darell Richards, a 19-year-old man fatally shot by Sacramento police officers in September. The Burris firm is also the same that revealed the identities of the two Sacramento police officers who shot and killed Stephon Clark on March 18, 2018. The identity of those officers is still being protected by officials in Sacramento. According to the Bee, Mitchell’s case will be heard by Judge William Shubb in United States District Court for the Eastern District of California in Sacramento in May 2019.